Marcus Technologies is using cloud computing technologies to revolutionize the protein trading and logistics industries. The Marcus Technologies trading platform connects vendors, buyers, and traders in a way that provides value at all points in the process. It is a major disruption to the traditionally low-tech food sales industry. 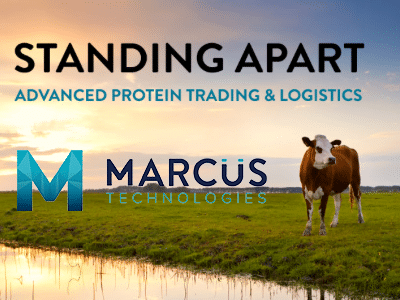 Conrad Labs built the Marcus Technologies trading platform as a Greenfield Project under the guidance of the protein trading experts at Marcus Technologies, who have been successful doing business in the marketplace since 1980. The platform is built upon a service-oriented architecture using Spring Boot, Java, Angular, Elasticsearch, and MySQL. The platform also features several 3rd-party integrations including with the industry’s leading CRM, Salesforce, and a legacy ERP hosted by Marcus Technologies’ parent company, Marcus Food Company. The trading platform is powered by AWS services including compute, S3, Route 53, SQS, SNS, and SES.